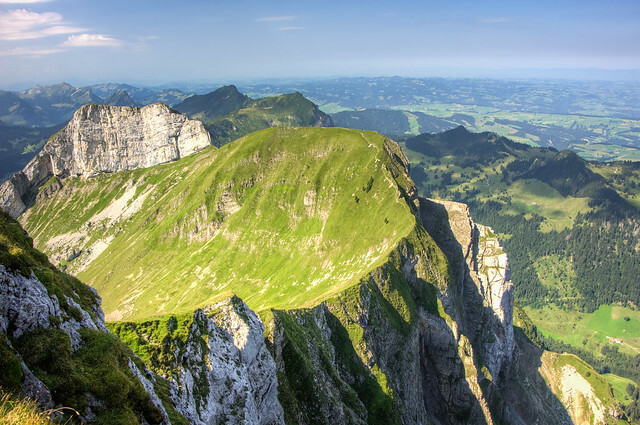 Mount Pilatus towers above Lucerne, providing a tremendous play area both summer and winter. 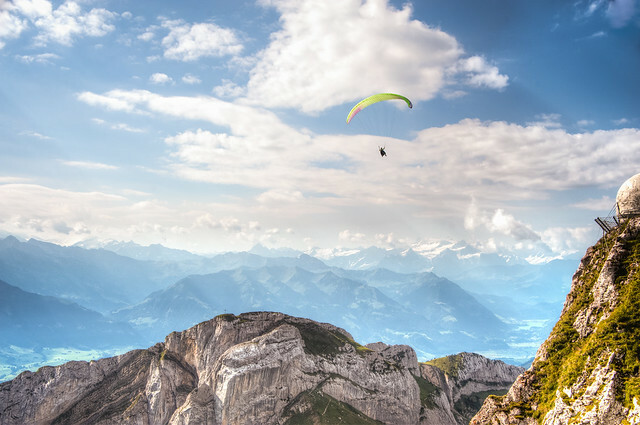 We enjoyed watching the paragliders making the most of the air currents surrounding the mountain. 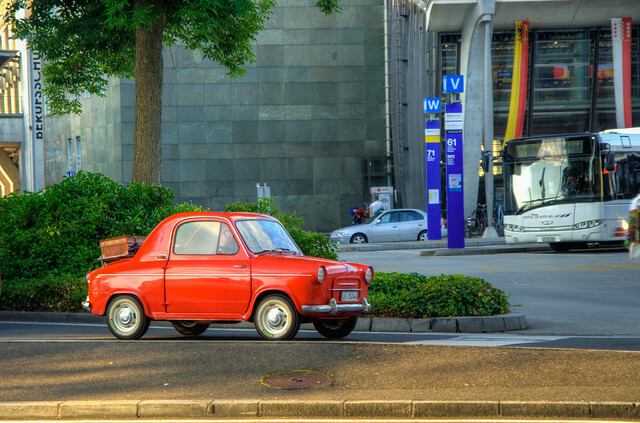 A cute little Piaggo Vespa 400 putts its way past us in Lucerne. 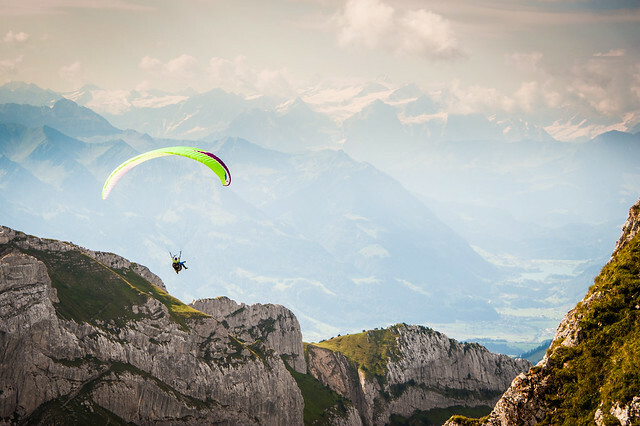 A paraglider enjoys the endless miles of rocky peaks high above Lucerne. 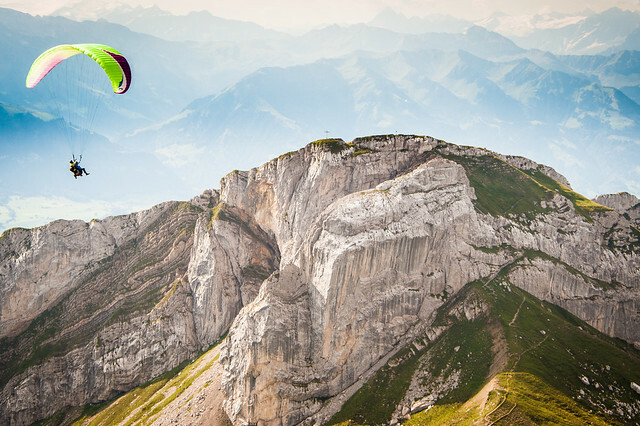 Paragliders settling down between rocky peaks at Mount Pilatus. 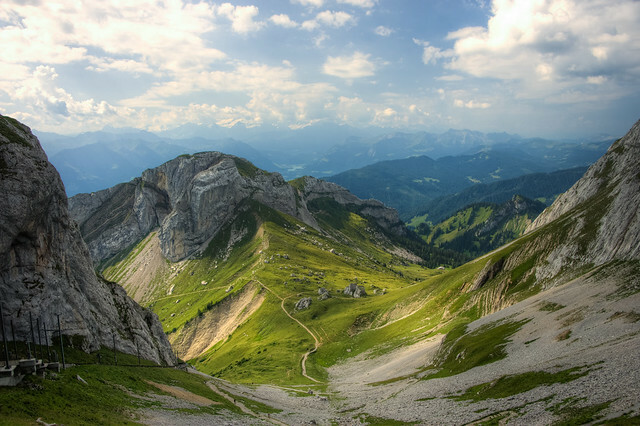 A trail leads down Mount Pilatus. This must be an amazing bowl to ski in the winter. 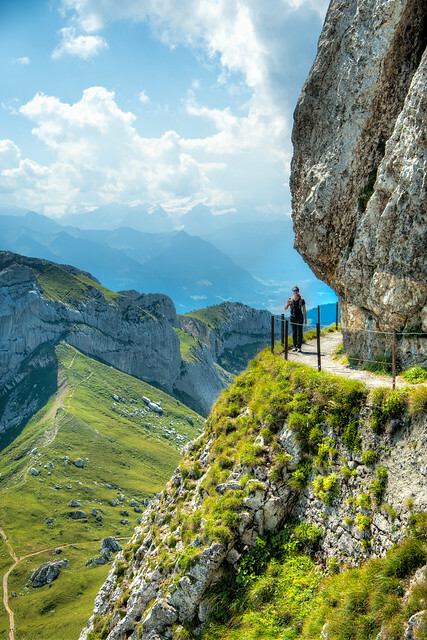 Colette smiles big as she enjoys her stroll along the path at Mount Pilatus.